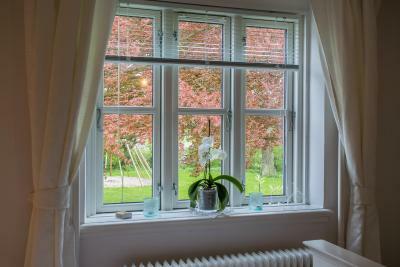 Lock in a great price for Jungshoved Præstegård B&B – rated 9.6 by recent guests! Warm, friendly owners and staff. Rooms and breakfast were outstanding. It felt like coming home. Very charming and friendly owners that really took time to talk with us. The house was beautifully decorated, all to my taste. Will for sure come again! Nice country-side location. Good breakfast. Comfortable and clean room. Friendly hosts. 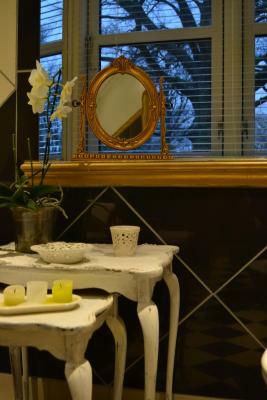 This is a family run boutique establishment, the warmth and passion of the family clearly shines through and we felt so very welcome. Annette, Philip and Frederikke are the very best of people and have left a lasting impression upon us! The location is rural and the drive there beautiful. 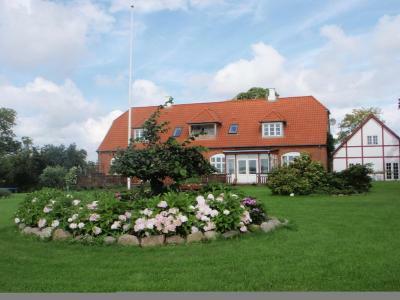 It is a short distance from Præsto village and Mons Klint. 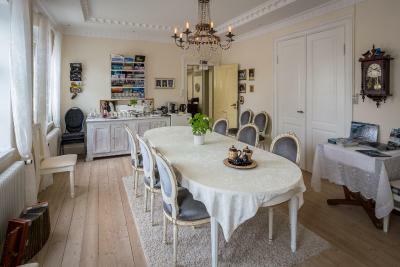 We travelled as a family of four with a 5 and 2 year old and stayed in Frederikke's room which is a large suite with seperate comfortable bedroom, large lounge with dining area, balcony and well appointed bathroom. 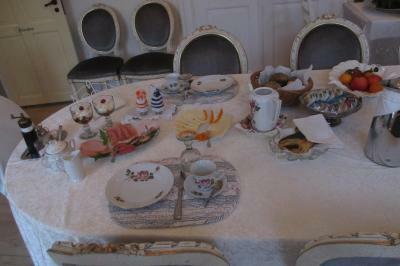 The breakfast was excellent and plentiful, my normally picky children were well catered for. We had a lovely stroll in the grounds, exploring all the nooks and crannies. The children had a dip in the water (Baltic Sea) whilst we sunbathed, a real highlight of our week in Denmark. There really wasn't enough our hosts couldn't have done for us. Absolutely lovely place and very friendly hosts. 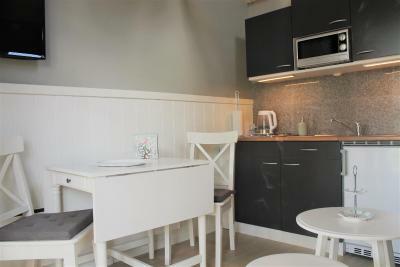 Finally evidence that 110-120 euros can get you a decently sized well presented room in Scandinavia. 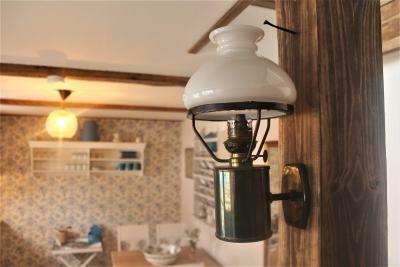 Having paid similar rates for postage stamp size rooms on this trip, it was great to experience such quality at a fair price. One can only hope other providers follow their lead! Breakfast superb but not included in price - at 10 euros pp its worth it. Our family with three children spent three nights at this wonderful B&B (Frida's House). 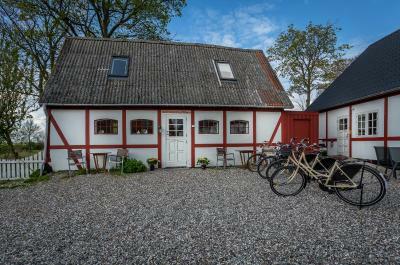 The hosts, Philip & Anette, were very friendly and attentive and we felt well taken care of. 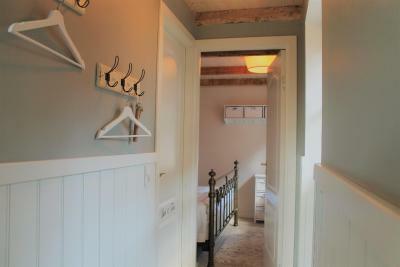 The location is very rural and quiet but still only a few minutes drive away from Praestoe town. Extra plus for the superb breakfast which had everything we could wish for. 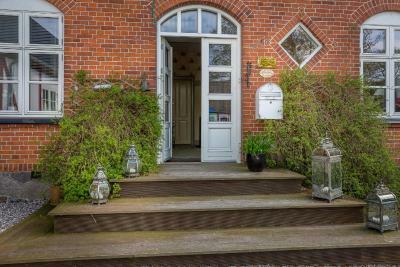 Nice and beautiful surroundings, peaceful place, 8 min to town where grocery stores are open until 22. They let us slightly late check out free of cost. Apartment was nice and cozy. The countryside and grounds are absolutely beautiful here. Upon arrival we were graciously greeted and our host was very helpful with information about their area and facilities. 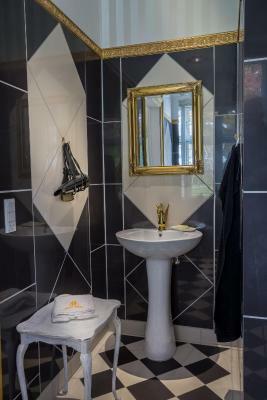 We immediately felt welcome and comfortable throughout our stay. We very much enjoyed walking around the grounds and sitting by the water, where there is a dock with a paddle boat and canoe available. There are many tables and seating areas around the houses to sit and enjoy the outdoors and picnic or enjoy a cup of coffee. 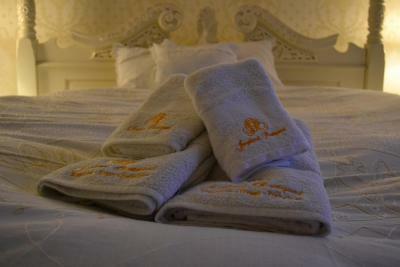 Our bed was incredibly comfortable and the bathroom was nicely decorated. 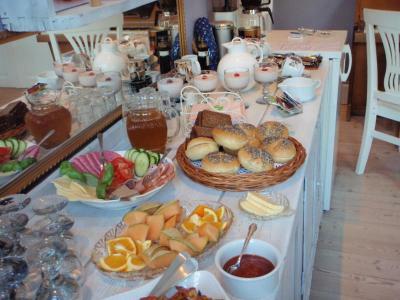 The breakfast was very nice with fresh ingredients. The rooms are all different here and I only wish we could have stayed here longer and tried other rooms! 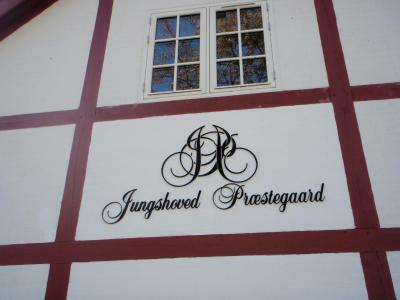 Jungshoved Præstegård B&B This rating is a reflection of how the property compares to the industry standard when it comes to price, facilities and services available. It's based on a self-evaluation by the property. Use this rating to help choose your stay! 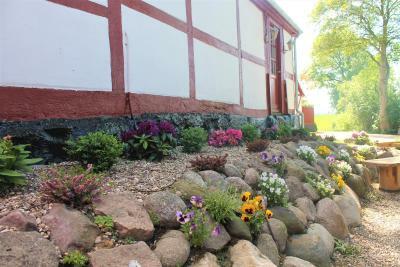 One of our top picks in Præstø.This property is on the south coast of Zealand, on Jungshoved Peninsula. 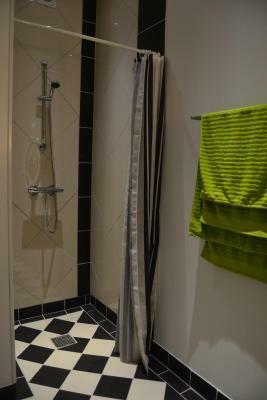 It offers traditionally styled guest rooms with free Wi-Fi and a private bathroom with shower. 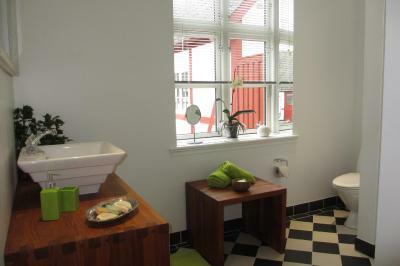 Jungshoved Præstegård’s bright rooms have wooden floors and views of the Bøgestrøm Strait. 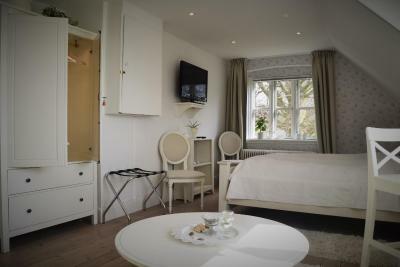 Many include a seating area, a flat-screen TV and kitchen facilities. In summer, guests can enjoy breakfast in the spacious, lush garden. Bicycles are available for rent on site. Staff are happy to help organize fishing, hiking and other recreation. Præstø is 6.2 mi from Præstegård Jungshoved, while Knuthenborg Safaripark is about 1 hour’s drive away. The white cliffs of Møns Klint are 28 mi from the property. 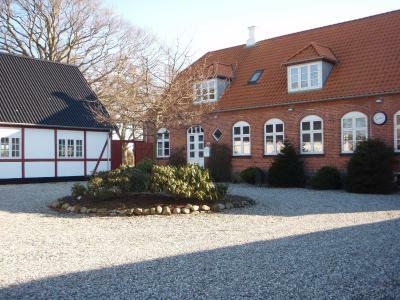 This property also has one of the top-rated locations in Præstø! Guests are happier about it compared to other properties in the area. 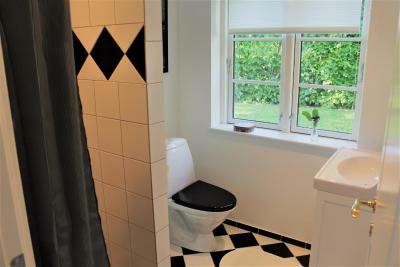 This property is also rated for the best value in Præstø! Guests are getting more for their money when compared to other properties in this city. 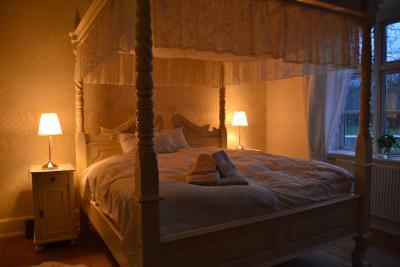 When would you like to stay at Jungshoved Præstegård B&B? 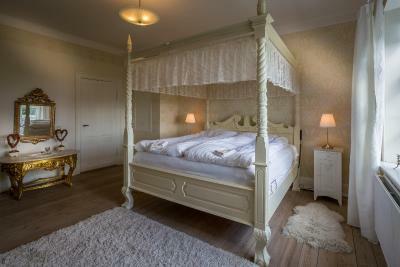 Featuring views of the old rectory garden, this room includes a seating area, flat-screen TV and tea/coffee facilities. Includes a seating area and a flat-screen TV. 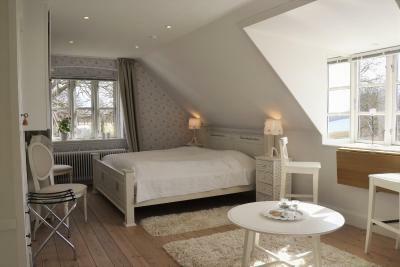 The room offers panoramic views of the Bøgestrøm sound. 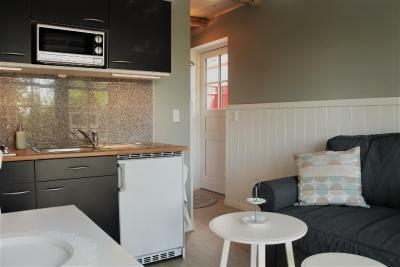 Includes a seating area with sofa and a rooftop terrace with panoramic views of the Bøgestrøm sound. 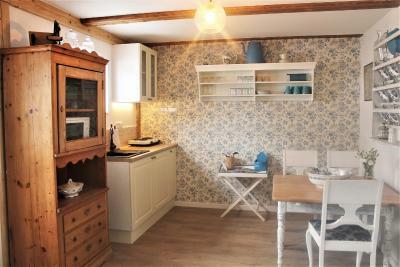 This property has an open-plan living/dining area with a flat-screen TV, and a fully equipped kitchen. The bedrooms have views of the surrounding fields and the sea. 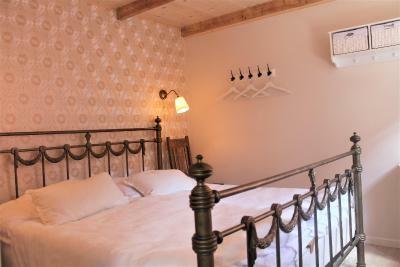 This twin/double room has a electric kettle, mini-bar and sea view. This tent is open to the surroundings on one side and features a barbecue area. 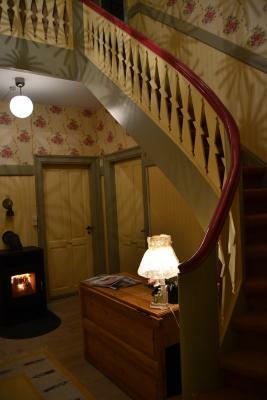 House Rules Jungshoved Præstegård B&B takes special requests – add in the next step! 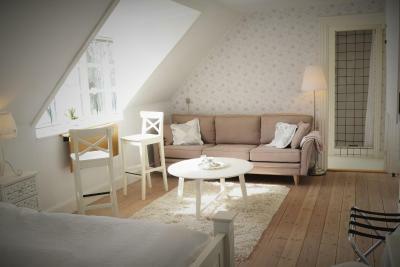 Up to two children under 16 years are charged DKK 200 per night when using existing beds. 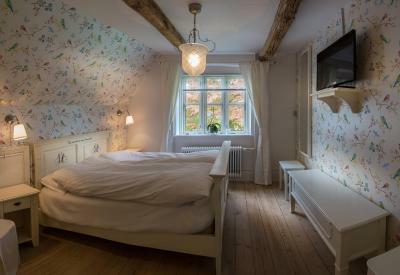 Jungshoved Præstegård B&amp;B accepts these cards and reserves the right to temporarily hold an amount prior to arrival. 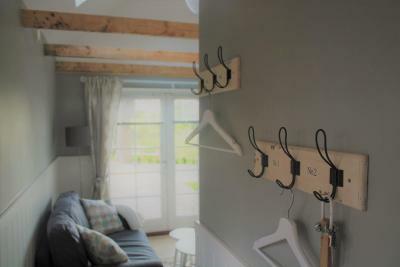 Jungshoved Præstegård B&B accepts these cards and reserves the right to temporarily hold an amount prior to arrival. Please note that payment will take place upon arrival. 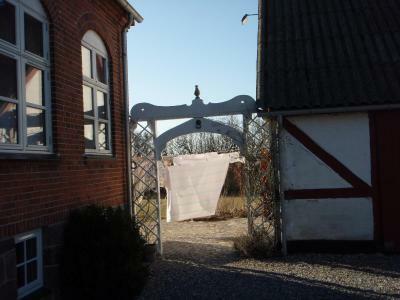 Please inform Jungshoved Præstegård B&B of your expected arrival time in advance. You can use the Special Requests box when booking, or contact the property directly using the contact details in your confirmation. 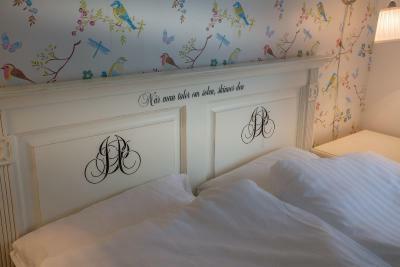 Amazing hostes Amazing land scapes Bed! Great hsopitality - professional and personable. After departure, the owner wanted to claim extra cost for dishwashing/kitchen cleaning which according to him is never included in the booking. Upon some back and forth correspondence he waived it. 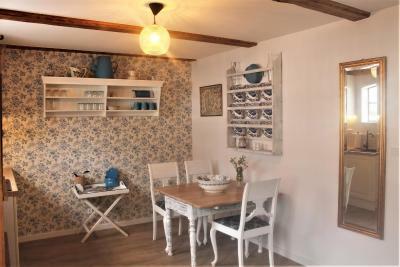 Really nice place in the countryside, big room with a view to the sea, delicious breakfast. The hosts were really nice.